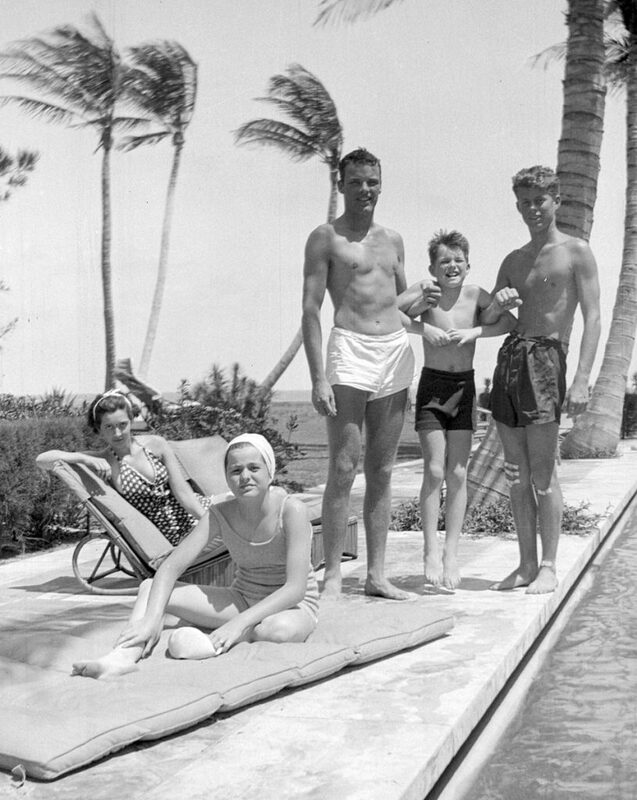 In this October 1936 photo, John F. Kennedy, right, Robert F. Kennedy, second from right, and Patricia Kennedy, front left, pose with friends in Palm Beach, Fla. 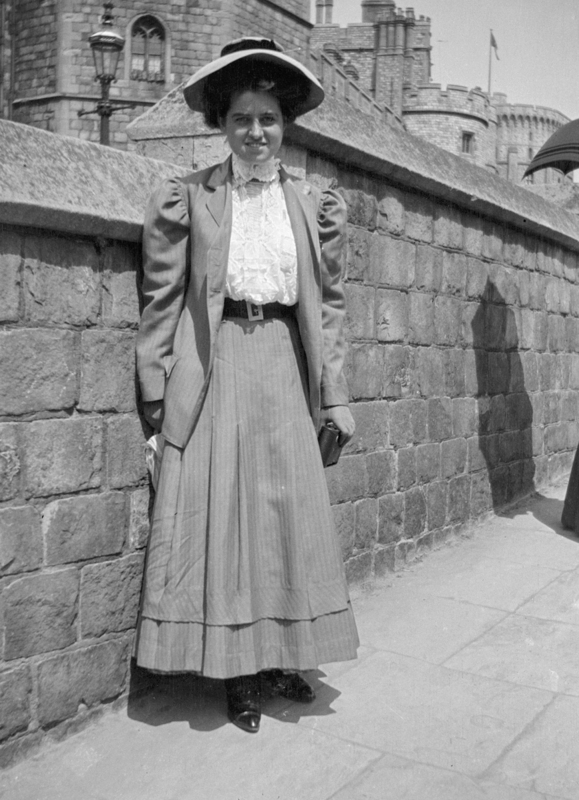 The Boston-based museum completed an 18-month project in 2018 to catalog and digitize more than 1,700 black-and-white Kennedy family snapshots that are viewable online, giving a nation still obsessed with "Camelot" a candid new glimpse into their everyday lives. In this October 1934 photo, Robert F. Kennedy, top front, Edward M. Kennedy, left rear, and Jean Kennedy, right rear, play on a swing set in Bronxville, N.Y.
Rose Fitzgerald poses at Windsor Castle in England in 1908. 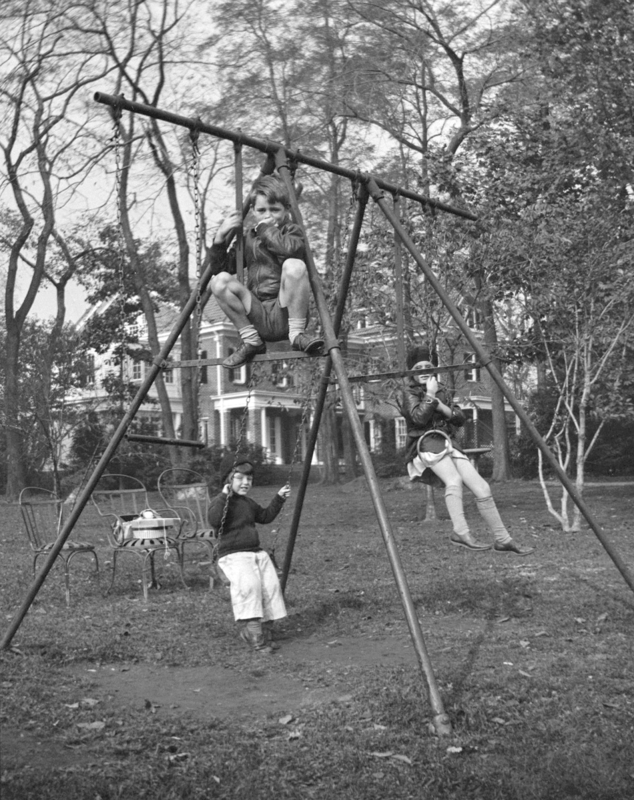 The Boston-based museum completed an 18-month project in 2018 to catalog and digitize more than 1,700 black-and-white Kennedy family snapshots that are viewable online, giving a nation still obsessed with "Camelot" a candid new glimpse into their everyday lives. 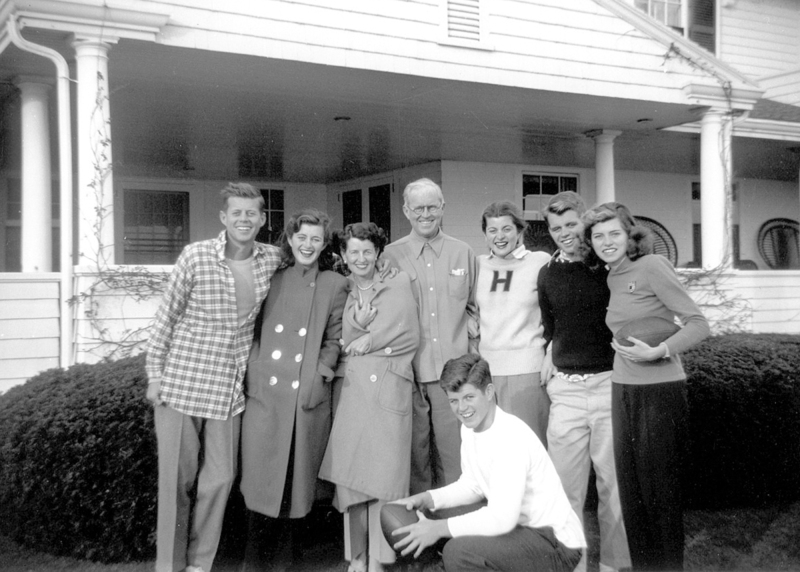 In this 1948 photo, members of the Kennedy family pose for a photo in Hyannis Port, Mass. They are from left, John F. Kennedy, Jean Kennedy, Rose Kennedy, Joseph P. Kennedy Sr., Patricia Kennedy, Robert F. Kennedy, Eunice Kennedy, and in foreground, Edward M. Kennedy.